Syrian War Report – March 5, 2019: Israel Delivers More Strikes On Syria 5 out of 5 based on 6 ratings. 6 user reviews. Late on March 3, battle tanks of the Israeli Defense Forces (IDF) shelled positions of the Syrian Arab Army (SAA) near Qars Nafal and Jubata al-Khashab in the province of Quneitra. Local sources said that the Israeli attack did not inflict casualties and revealed that these SAA positions remain empty most of the time. Following the attack, multiple Israeli warplanes, helicopters and unmanned aerial vehicles were spotted flying over the Israeli-occupied part of the Golan Heights. A previous IDF strike in this area took place on February 11. Then, the attack targeted a Quneitra city hospital and an SAA positon near Jubata al-Khashab causing no casualties. In comparison with IDF attacks on alleged Iranian infrastructure in the countryside of Damascus, the strikes in Quneitra province have a very small scale and almost no impact. Some Israeli sources claim that these attacks are a warning to Iranian forces, which may approach the contact line between the Israeli- and Syrian-controlled areas. It is interesting to note that during a weekly cabinet meeting on March 3, Israel’s Prime Minister Benjamin Netanyahu claimed that Israel and Russia would work through a joint group to remove all foreign forces from Syria. Additionally, Netanyahu claimed that his country “will not allow Iranian military entrenchment” and “will continue to militarily act against it”. Last week, Netanyahu visited Moscow and held extensive talks on Syria with President Vladimir Putin. This was the first face-to-face meeting between the two leaders had since the downing of the Russian intelligence plane over Syria in September. According to some experts, this meeting is a sign that the Russian-Israeli relations may have been started improving since the IL-20 incident, which was caused by what the Russian military described as “hostile” Israeli actions. Despite this, it does not mean that Moscow and Tel Aviv have a full understanding on the all range of issues regarding the conflict. While Tel Aviv sees the withdrawal of Iranian forces from Syria as a top priority, Moscow and Damascus consider the presence of Iranian personnel as a legal move because they are deployed under request from the Syrian government. Furthermore, Damascus and Teheran are being engaged in a deep military technological cooperation. On the other hand, Moscow, Teheran and Damascus are interested in the US withdrawal from the areas, which it occupied in northeastern Syria, something what Israel would not like to see. This means that the creation of the joint working group will not likely lead to the withdrawal of all or at least some foreign forces. Nevertheless, the Israeli-Russian group may become a useful tool to de-escalate the situation between powers involved in the Syrian standoff and to start working on some compromise decision on the settlement of the conflict. The US-backed Syrian Democratic Forces (SDF) are finishing their operation against ISIS in the Euphrates Valley. Over the past few days, the US-led coalition has delivered multiple artillery and air strikes in the area. The ISIS-held pocket will soon be declared eliminated. According to reports, during a recent “humanitarian pause” only, from 300 to 500 ISIS fighters and members of their families surrendered to the SDF. Separately, the SDF revealed that its administration had decided to release 283 ISIS-linked persons. The declared reason of this decision is that they have allegedly not participated in crimes of the terrorist group. The number of ISIS-linked persons within the SDF-held area is growing. Without a proper security management, this may create conditions contributing to the growth of ISIS cells network in northeastern Syria. For Russians to kill Khazars is the same absurd as for Yankees to kill some Texans. Actually, the Ashkenazi came, originally from 4 small villages in NE Turkey along the route of the ancient Silk Road. 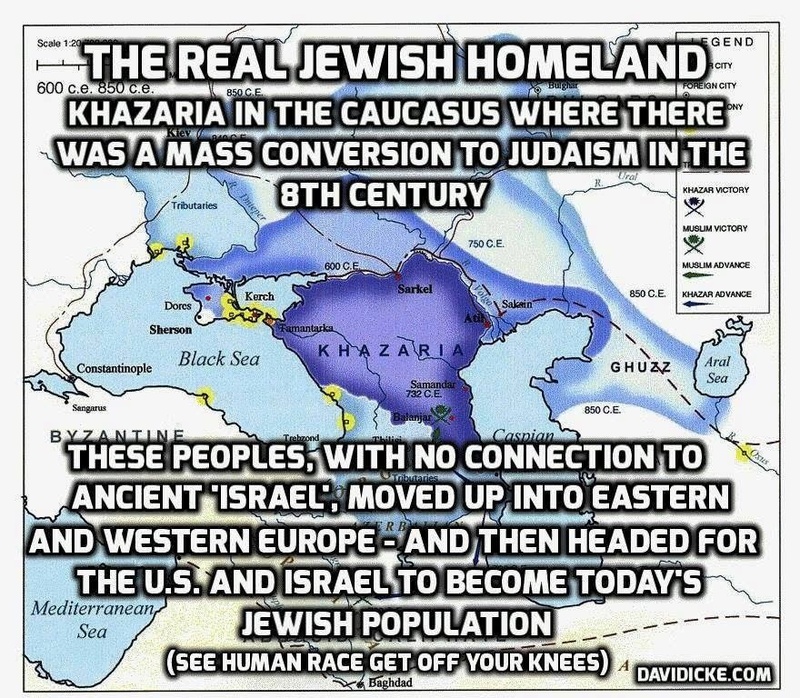 From there, they migrated north and became subsumed into the Khazarian Empire. Because Israel has very carefully only attacked people that can’t fight back. The next (first) time Israel attacks Russia or Russian troops, then Israeli pilots will die. I doubt it !! Just another accident, and that is. When was that Dum Dum? Dumshit, IL 20 was Syrian Yes the Israelis suckered them into it but Israel did not do the dirty. The Deir ez Zour was 1) not Israel but Kurds with US backing. 2) were not Russian troops but militia 3) were not operating under the command of Syria-Russia but independently with Iraq – Iranian militia. So according to you, Israel has S-200s and shot down a Russian recon aircraft over Lebanon! Oh look another flock of pigs are circling Jerusalem. Russian internal politics are murky but there seems to be a strong zionist lobby in russia that hamstrings putins government from being fully sovereign. I dont know where its power derives from but its effect seems to scare putin shitless hell accept almost any offense from israel. I dont think its a religious voter effect either. Its something violent and bloody. Do you remember the Israel attack to USA liberty where a lot of north americans died ? Israel said: “Oh, we confuse with a terrorist ship”, “Oh, we didin’t see the flag”, “Oh, we though that the flag was from Egipt”. What jews lobby (congress) in USA said: Oh, ok no problem we will move our ship out of the area. We forgive you and will give you 4 billion dollars free each year because you are the chosen nation of God. This is real pathetic !! Total north america dominated by jews, even what you must think. The withdrawal of foreign troops in Syria must begin with the withdrawal of Israeli forces from the occupied Syrian Golan Heights; otherwise, it’s just Zionist hasbara, hokum. Israel, the sorry whiny excuse for a nation, thinks it has a say in Syria’s affairs and the writer of the above article entertains this. Israel can whinge all it wants. It is up to Syrians who can and can’t stay in their land. No where does the author point this out but instead talks as if the rights imagined by Israelis somehow exist. Is it any wonder Israelis arrogance grows by the day when authors like this blow smoke up its proverbial. Israel can do what it wants. The only answer is to shoot back. They can do this because in the event that Israel is under any threat of actually losing serious amounts of men or materiel then USA will step in and support Israel. This will bring about a world war if Russian personnel are harmed. Then anything between 20 million and 2 billion people will die. Assad cannot defeat Israel on its’ own, see comment on USA. Iran cannot defeat Israel on its’ own, see comment on USA. Israel can be as much of a bully as it wants as long as it can hide behind USA skirts. With Trump (Daddy’s little girl wants her hubby to be ‘important’) as President, Israel is strutting around like the b**ch that it is. Until USA either is defeated as a military power or gives up Israel to stand on their own, Israel will continue to do whatever it likes. And all because American Politics inside of the Beltway is scared shxtless of some 5 Million or thereabout Jewish Voters across America. How is it possible that the likes of #AIPAC and similar Organizations can, essentially maintain a Boot on the Throat of US “democracy”? ‘cos those who appears on our screens every day on NBC MSNBC FOX CBS ABC CNN & all of their local affiliates are top heavy with Jewish Presenters, Talking Heads & “journalists” supposedly representing the independent news media of the United States. Independent? My axx. News-media? My axx. Meh. Seems to me the syrians could lob shells into the golan if they wanted to make israel think twice before shooting out of the golan. Theyd blame assad for dead israeli citizens yes but also their government for not protecting them. There squeamish about spilling their own blood. israel is on borrowed time and so is sdf and fsa – the latter two since they are in unsustainable situations in a hostile environment which they are too small to do anything about. and israel is about to find out why they better learn how to swim since the surrounding countries, with no exception, are enemies of the land-thieving murderers and operator of the concentration camp, Gaza, modeled on hitlers concentration camps and replete with an ethnic cleansing program for the complete DEPALESTINATION and those enemy-countries are just too tired of having their days wrecked by the tiny and whiny israel so they just would like to see them float away on the Med, never to return. and peace restored in the middle east after 100 years of israeli terror and greed and theft and murder. couldn’t happen too soon! The notion that Kurds can set up their new independent “State of Kurdistan” in NE Syria is so bizarre as to be almost laughable but for the fact that some Kurd organizations are hell-bent on the creation of such a statelet and, taking a leaf from the book of the Zionists and with their whispering in their ears, they are hell-bent on proceeding with such bizarre fantasy. Kurds are a MINORITY in NE Syria and have many Arab Tribes under their thumb precisely because of the fact that US & French & UK Forces are stationed there with them acting as enforcers of Kurd implementation of their plans for the Kurd State. That has caused major problems with Schools and Churches of the Assyrian Population (and Chaldeans) with Apartheid Education Policies being implemented: Kurd Language in Assyrian Schools; Assyrian CHurches & Schools closed by Kurds last Summer for their refusal to implement the Kurd Curriculum in the Schools. Most people appear to believe that Kurds are the majority in NE Syria. They are NOT. It is long past time that someone write a piece on #SouthFront on demographics of NE Syria and how the creeping ethno-fascism of the Kurds is being implemented across the region. Their aim is theft of land & heritage ……… same playbook of the Zionist Project in Palestine since early 1920’s. ‘Bibi’ is in serious political trouble-this is purely a PR stunt as he is now in danger of not only losing an election, but actually going to prison, he needs all the positive press he can get. As for the SDF releasing ISIS, this is to create new ISIS cells to attack coalition troops so the SDF can justify their presence in Syria & help then to create Israel 2.0. Parece que Putin autorizó a Bibi seguit atacando a Siria sin ningun problema. Rusia nunca ha hecho nada para detener a Israel, ni siquiera cuando Israel preparó el plan para que destruyeran su IL-20. Rusia ha jugado un papel fundamental en permitir a Israel cualquier tipo de ataque a Siria (con el pretexto de Hezbolah, o Iran o derecho a defenderse, lo que sea). Los ataques de Israel a Siria, ponen los reflectores en Rusia y solamente Rusia pues ya se sabe que Israel es una nación terrorista criminal. BiBi is in Moscow to meet with Putin to ensure his vote amongst the 1.5 Million native-born Russian Population of Israel in the coming Elections, the majority of whom are no more Jewish than I am, who live separate Russian lives within Israel and are the most Right Wing of the Right Wing cabal inside Israel. Oh my apologies … the Right Wing Criminal Cabal inside Israel. Those Russians who decided to leave Russia in the 1990’s & 2,000’s bringing their ill-gotten gains with them run the Russian Mafia from within Israel. That is the link between today’s Russia & Putin on the one hand and the Right Wing Criminal Cabal that rules Israel on the other. Putin’s problems are two fold, the majority of extremely wealthy Russian Oligarchs are Jews and secondly they are more Euro and US leaning because they export and invest huge amounts into Euro, Banks and Financials, Industries and in Trumps casa use American Jews to launder money into real estate. US and Euros sanctions make Russia act like love sick and scared sh▪▪less puppys. So much so that True Russian patriots are quickly lowering of Putin’s favorability rate and ncritizing Russia’s leaders. So large has the dissent grown Putin just passed a law outlawing criticism, backed by heavy jail time.